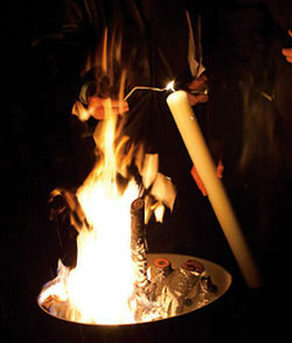 Yesterday (as I write this) was Passion Sunday and, as Holy Week approaches, the atmosphere of the season darkens. We now begin to turn our hearts and minds towards Christ’s passion. I invite you all to come to the services for Holy Week and to share in Christ’s journey from his triumphal entry into Jerusalem on Palm Sunday to the empty tomb on Easter morning. 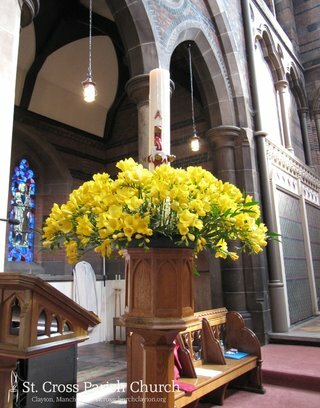 Palm Sunday: On Palm Sunday we will meet together at the top of the West Path for the blessing of the palms before processing into church to the Palm Sunday hymn, All glory, laud and honour. This service will include a reading of the Passion Narrative according to Matthew, in which the whole story of the week will be anticipated. 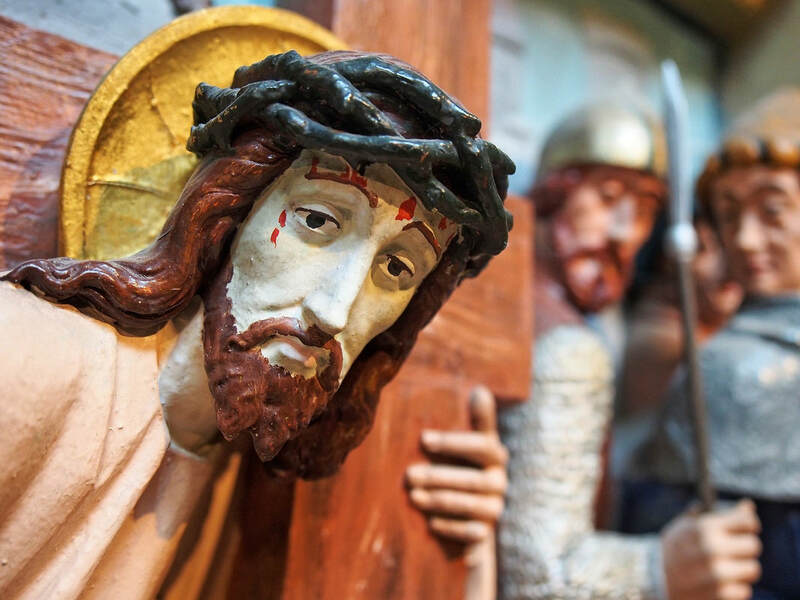 The Stations of the Cross: Stations is a beautiful, meditative devotion often used at Passiontide. Its purpose is to help us engage with the path of suffering walked by Jesus, from Pilate’s house to Calvary. 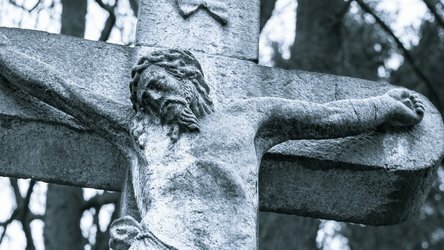 ​Good Friday: Thursday passes into Good Friday. Good Friday is marked by two separate services at St. Cross. First is another service of The Stations of the Cross. 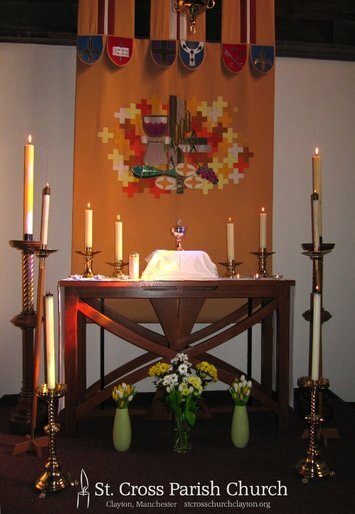 Stations is a beautiful, meditative devotion often used at Passiontide. Its purpose is to help us engage with the path of suffering walked by Jesus, from Pilate’s house to Calvary. Then we have the Good Friday Liturgy of the Lord’s Passion, comprising two main episodes: the veneration or proclamation of the cross and the distribution of pre-consecrated bread. St Cross Church will remain stripped of all decoration and she will continue bare and empty throughout the following day, which is a day without liturgy: there can be no adequate way of recalling the being dead of the Son of God, other than silence and desolation. But within the silence will hopefully experience a growing sense of peace and completion, and then excitement as the Easter Vigil draws near.